On Thursday, the 2015 NFL Draft will begin, and Nebraska fans will be keeping an eye out to see where former Cornhuskers land. Ever since the Bill Callahan era, Nebraska has touted the success of its alumni in the NFL, and there are at least three players who look likely to join their ranks. Lance Zierlein and Chad Reuter at NFL.com put together a seven-round mock draft showing where each player could land. While mock drafts are notoriously unreliable in terms of their predictive accuracy, they are interesting as a starting point to think about how players could fill needs on a certain team. So an exercise like the one on NFL.com is useful as a discussion point. With that caveat in place, let’s take a look at where this year’s crop of ex-Cornhuskers might land on Sundays. 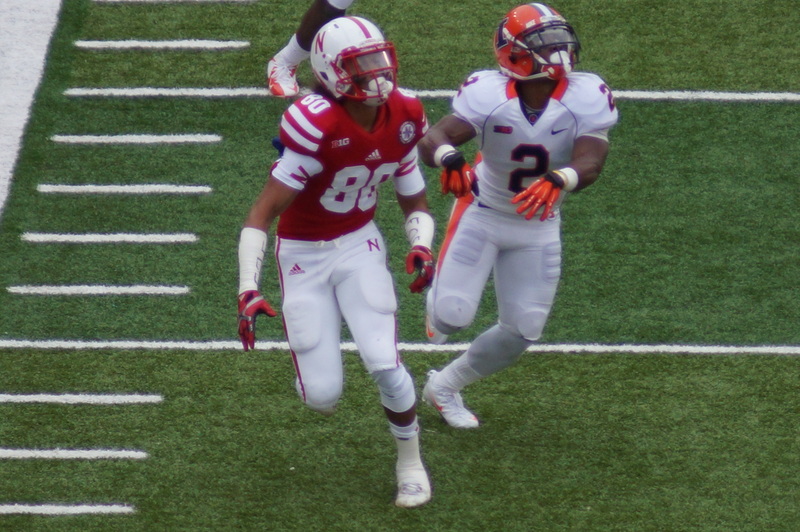 After the regular season, Gregory was considered by some to be the top overall pick in the 2015 NFL Draft. But a positive marijuana test at the NFL Combine has dropped perception of him out of the top ten, in large part due to the irresponsibility of allowing himself to have the drug in his system when he knew he was going to be tested. But while that will likely cost Gregory a healthy sum in terms of his rookie contract, it also pushes him down the board and likely to a better team. The Saints are a team re-tooling after a disastrous 7-9 season which kept them out of the playoffs (even in the comically-inept NFC South, which was won by a 7-8-1 Carolina Panthers). In this offseason, the Saints traded their most explosive offensive weapon in tight end Jimmy Graham to the Seattle Seahawks in exchange for picks and a Pro Bowl caliber center in Max Unger. It may be a signal that the Saints are moving towards more of a focus on defense and running the ball. Given that the Saints were no. 25 in the NFL last year in sacks, a pass-rushing specialist would fill a big need. And if Gregory’s indiscretion at the Combine drops a top-five level talent to New Orleans at 13, it makes a lot of sense for the Saints to jump on him there. Well, if nothing else, Nebraska fans could keep the Lions as their adopted NFL team, trading their Ndamukong Suh shirts (who went to the Miami Dolphins in free agency this offseason) for Abdullah ones. Upgrading at running back makes a lot of sense for the Lions, especially as their defense will of necessity take a hit after losing Suh. With Matthew Stafford at quarterback and Calvin Johnson and Golden Tate at wideout, the Lions already have some effective offensive weapons. But their only rostered running backs at this point are Joique Bell, Theo Riddick, and George Wynn. There is a huge opportunity for a running back to earn playing time (at the very least in a committee with Bell), one that Abdullah would be well-poised to exploit. Bell to Buffalo is an intriguing prospect. Given his injury history and lack of size, a fifth-round grade is probably fair. And yet, throughout his career at Nebraska, fans saw his speed, route-running, and hands on display, as well as his toughness and leadership. Going to Buffalo would put him on the field with a number of other exciting offensive weapons, such as Sammy Watkins, Percy Harvin, and LeSean McCoy. If Bell can make the team as a third or fourth wideout, he could have the opportunity to exploit matchups against linebackers or safeties, with the other team’s best cover corners on Watkins and Harvin. Of course, he would also have guys like Matt Cassel and E.J. Manuel throwing him the ball, which right now is the biggest limiting factor in the Bills’ offensive future. Still, given what the Bills look to be building on offense, Bell makes a lot of sense in Buffalo. According to CBS Sports, here are the other Nebraska players who have a shot at earning a roster spot as an undrafted free agent. Assuming, of course, that Harvin manages to stay healthy and not get run out of town in the first five minutes. Really interesting article–I had no idea people were projecting that Bell would get drafted. Well, I bit my tongue a little in discussing Harvin. I would certainly share your concerns, particularly as a Seahawks fan and seeing what he did there. But if (when) Harvin does flame out, that makes Buffalo an even better place for a character guy like Bell. Thanks for the response!